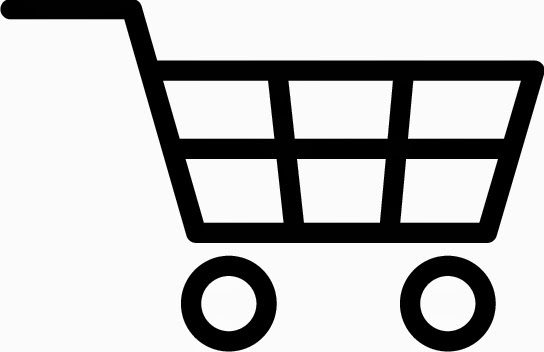 What's In Your Cart? Linky Party! This week is going to be fun! If you haven't heard yet, there is going to be a big, site-wide TpT sale on Thursday and Friday in celebration of 3 million teachers joining their site. 3 million! That is a lot of teachers! You can get up to 28% off of all of your purchases! I am linking up with Jenna over at Speech Room News to share with you a few things that I really love to use in my speech room, and also what is in my cart for the big sale. 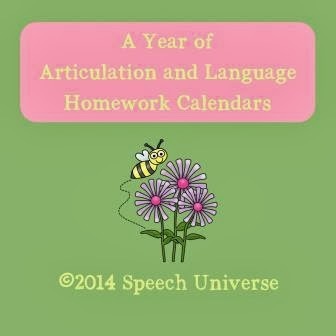 If you participated in last month's SLP Freebie Frenzy, you may have checked out my February articulation and language calendars. If you liked them, and want the rest of the year, this would be a great time to purchase the bundle! 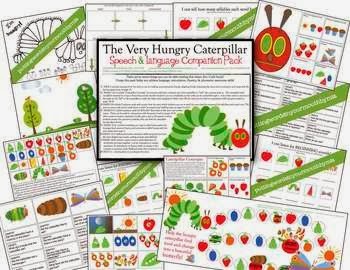 These have been so useful to me when working with students who do not yet qualify for speech and language services. When I use these with my RTI students, I have lots of great information to take back with me to present to the classroom teacher and principal. 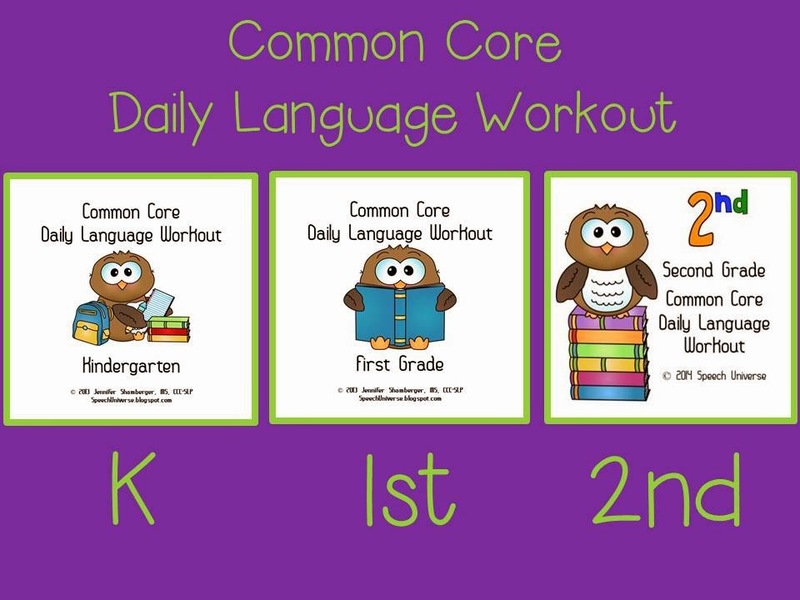 These cover a variety of language skills that are covered by the Common Core, specific to each grade level. 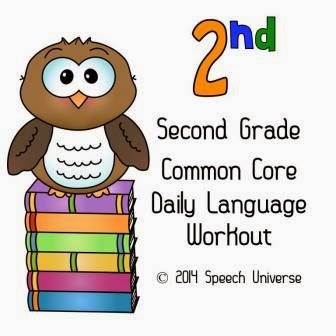 This looks like it will be really great for some of my younger students who are working on sequencing and vocabulary. 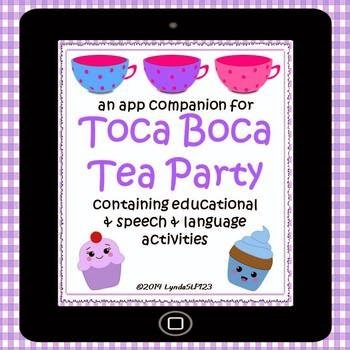 They love using the Toca Boca apps, and this looks like a great companion! I have some of the other versions of these games, and my students have loved them. When I saw that a new spring version was out, I knew I had to get it! As you know, I have a little HUGE obsession with book companions. This one looks so cute, that I just can't resist! 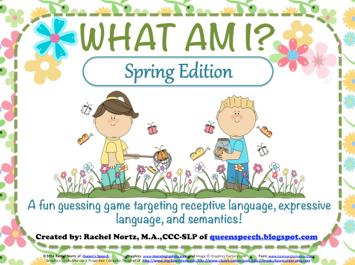 It has lots of visuals that I can use for communication boards with my students with ASD, and a ton of comprehension questions, which I love. I have a group of students working on S that I think will really like this. 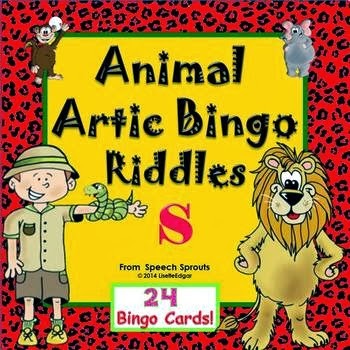 I am also going to pair it with my Auditory Zoo packet when I have a zoo themed week. Thanks so much to Jenna at Speech Room News for hosting this linky party on her fabulous new website! You can find links to lots of your favorite SLP bloggers and TpT seller and see what is in their carts too! Just click HERE.